Other people, when they feel the need to get away from it all, to meditate, or to seek spiritual guidance, withdraw into seclusion. They visit gurus on mountain tops. They trudge into the desert. They go wandering with rucksacks on uncharted footpaths. 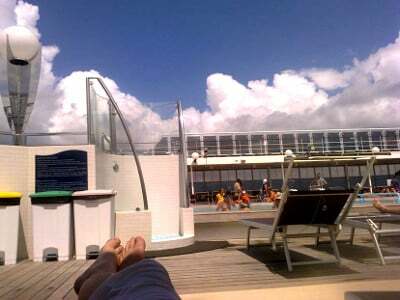 I went on a pleasure cruise on a gigantic, crowded luxury ocean liner. Perhaps I should start at the beginning. About three years ago, I went on a personal self-improvement course. I made peace with my mother. I went to Virgin Active more often. I meditated. I started a diet and lost 15kg. Lately, as things happen, my newfound peace of mind has started going a bit stale on me. I started getting impatient in traffic again. The Oscar Pistorius trial depressed me. I lost faith in the inherent goodness of the universe. In spite of having successfully crossed the 100kg point, and in spite of eating lots of fruit and veggies, my weight started ballooning again; from 99.4kg back to 100.8kg. It was as if the heaviness of my spirit was adding mass to my physical weight in spite of my frantic dieting. When I heard that I was due to perform on a cruise liner as part of the RSG/MSC/Lefra Oppiwater Kunstefees, I made a decision. Right away, during the first day or so, I realised that the whole spiritual-quest-thing had been a massive mistake. In the first place, there was no seclusion to be found on the boat. In the second place, all the food on the ship was for free (we only had to pay for our drinks). There was absolutely no chance in hell of me reclaiming my inner peace, left alone sticking to any diet. It wasn’t as if I got any physical exercise, either. We merely lazed around the pool, we did not swim any lengths. There was a gym on the ship, so I’d heard, but I never found it. There were far too many distractions: shops, coffee bars, live music, and, above else, eating, drinking, eating, drinking, and some more eating. Strangely enough, I started feeling happy. Even when we hit rough weather and sailed into a storm somewhere in the open sea off the coast of Mozambique, I slipped into an inexplicably good mood. I did not vomit up my food once! I even started reading Deepak Chopra. And suddenly Deepak Chopra made sense! I read Deepak Chopra by the pool. I read Deepak Chopra between snacks and meals. I read Deepak Chopra at night in our cabin. Somewhere between the furious rocking of the great ship, the constant throbbing of the engines and the crazy chatter of tourists, the wisdom of Deepak Chopra started transforming me in a way I’d never expected. And I regained the spiritual foothold I had lost. Suddenly, words like “consciousness” became meaningful again. Nirvana dawned. Bit by bit, I became enlightened. When we finally docked in Durban, I was a new man. Though I had probably picked up, at the very least, nine or 10 kilos, I felt emotionally lighter. I could look at myself in the mirror again. My eyes were clear. I knew that the boat trip had achieved for me what a journey to the desert or a mountain-top visit to a guru would have achieved for others. I felt born again. When I got back home, early yesterday evening, we had a huge braai. This morning, with some trepidation, I climbed on top of my state-of-the-art bathroom scale, fully expecting to see my weight soar. To my utter astonishment, I discovered that I had LOST weight, and not gained anything. I was down to 100.1kg! This made no sense at all. The day before we left, I had clocked in on 101.4kg. After four days of stuffing myself with bread, cake, meat, fish, puddings, numerous bottles of wine and millions of pizza slices, I had not gained an ounce! Instead, I had SHED 1.3kg! It wasn’t much, admittedly, but the very fact that I had lost and not gained anything was nothing short of miraculous. Mind over matter? Chopra over chops? Perhaps it’s time to look up the address of Noakes’s publisher and send those guys a proposed outline for a new dieting book? Perhaps they can sponsor my research into the techniques of getting back into shape by losing weight in the soul, instead of just the body? I’ll get rich! I will be able to go on a sea cruise whenever I want to! I’ll get to that in a moment, though. As soon as I’ve raided the fridge in search of leftovers from last night’s braai. 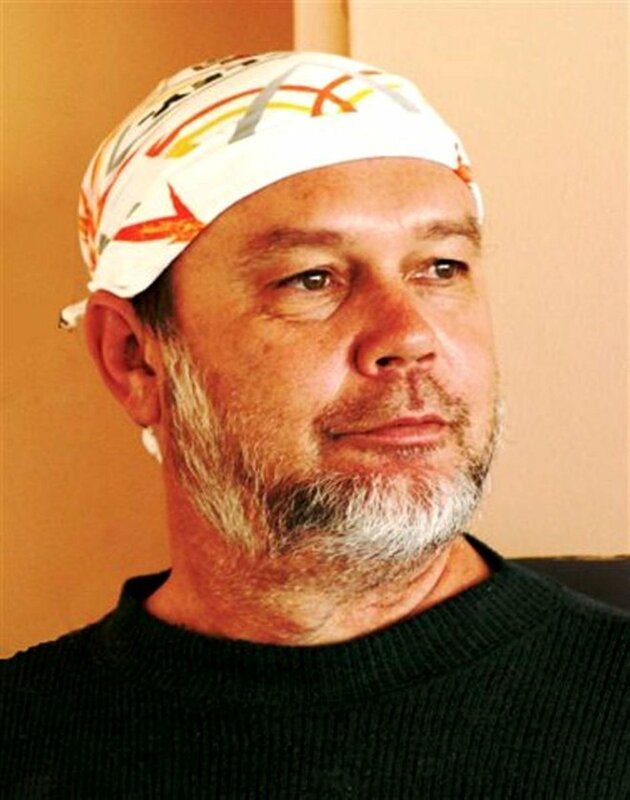 Koos Kombuis recently published an Afrikaans rendition of the I Ching, titled i-Tjieng, ‘n GPDS vir Verdwaalde Siele, with Penguin SA.